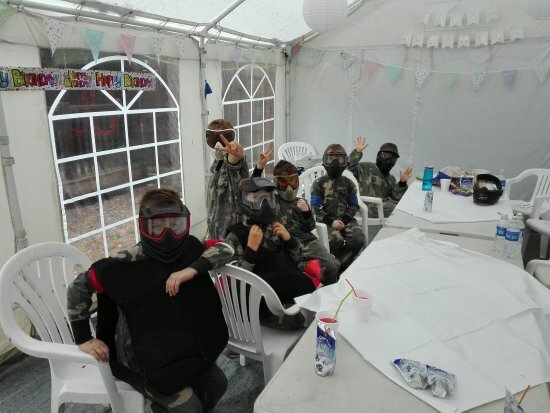 Crawley is in a perfect location, close to main transport links for London & Brighton, offering a wide variety of activities to satisfy any adrenaline seeker. Visitors to our venue will find a large tarmac car park with spaces for 50 cars. From there, they will be directed to the reception and the briefing area, built to appear like a military fortress. 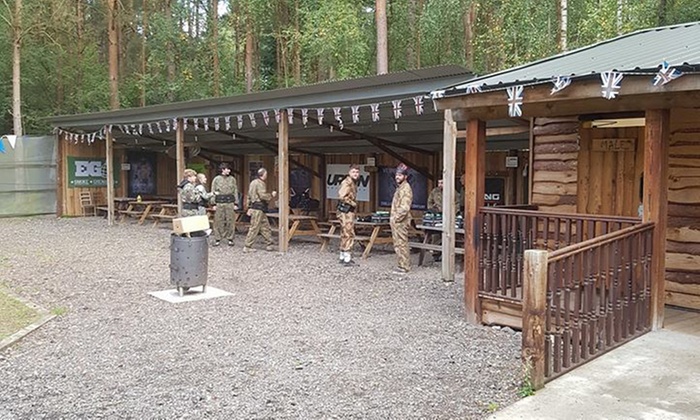 This large sheltered seating area is a great place to sit back and enjoy the atmosphere, whether you are one of the players taking to our paintball fields in the 40 acre site or just waiting for participants between sessions. There is free tea, coffee and WiFi to ensure you can relax, upload selfies or just browse the internet. This base camp area includes restaurant quality toilet block with disabled access, baby change unit, lockers and underfloor heating. It also includes plenty of picnic benches – the perfect place to enjoy lunch if your package includes this, if not, there are refreshments and snacks available on site.